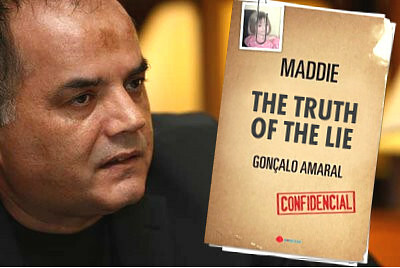 GONÇALO AMARAL - BRITISH MEDIA SMEAR CAMPAIGN: Marcos Aragao Correia, 32 Claimed Maddie Was Snatched, Raped And Murdered - The McCanns Were Livid That The PJ STILL Insisted Maddie Died In The Apartment - McCann's Were Negotiating A Movie Deal ! Marcos Aragao Correia, 32 Claimed Maddie Was Snatched, Raped And Murdered - The McCanns Were Livid That The PJ STILL Insisted Maddie Died In The Apartment - McCann's Were Negotiating A Movie Deal ! MADELEINE McCann was abducted, raped, murdered and thrown in a reservoir, a lawyer claimed last night. Human rights expert Marcos Aragao Correia, 32, said his criminal contacts claim she was killed 48 hours after being snatched in May. He said her body was then tossed into the deep Barragem da Arade reservoir 30 miles away. Mr Correia said he was given the grim account of her death – by a source he refuses to name – on May 6, only three days after Madeleine vanished. He passed on the tip to police, who have dismissed it as "not credible''. They believe she was accidentally killed in the McCanns' Portuguese holiday apartment and that they disposed of her body to hide their negligence. But Mr Correia is convinced Kate and Gerry McCann, both 39, are innocent and their daughter was the victim of a horrific crime. The lawyer has taken the McCanns' private eyes to the reservoir where he believes her body lies, but it is so huge they do not have the resources for an effective underwater search. It is seven miles from the town of Silves, where it is claimed a girl matching Madeleine's description was handed over to a mystery man by the girlfriend of Robert Murat, 34, the only other suspect in the case. But Michaela Walczuch, 32, says she has an alibi and she has only been interviewed as a witness. Mr Correia told a Portuguese magazine he has cleared his workload to try to solve the mystery that has gripped the world. 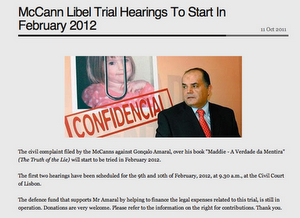 He said he was tipped off about Madeleine's murder by a criminal contact through his work in children's rights. He said: "They indicated that Madeleine had been abducted, raped and murdered within the first two days of her abduction, and her body thrown in a lake. "They said the lake was deep, murky, in a deserted area, surrounded by many trees, unguarded and easily accessed.'' Mr Correia twice passed on the information to Portuguese police, but after they failed to act went to the scene himself to investigate. He spent three weeks at the reservoir with investigators from the McCanns' Metodo 3 agency. Last night he called on the police to search it extensively. "How can they say the lead is not credible if they don't even investigate? It is absurd, " he said. "They should investigate all possibilities before they decide to ignore anything, and it seems obvious to me they have not done so." A police source said: "There was a meeting about this information but the lawyer's sources are not credible.'' Of Kate and Gerry, Mr Correia added: "I don't believe those people would be capable of killing their daughter and doing all this theatre.'' Portuguese detectives are set to sit in on new interviews by British police with the McCanns and their seven holiday pals. Police say the key to unlocking the mystery lies in "inconsistencies'' in the witnesses' accounts. 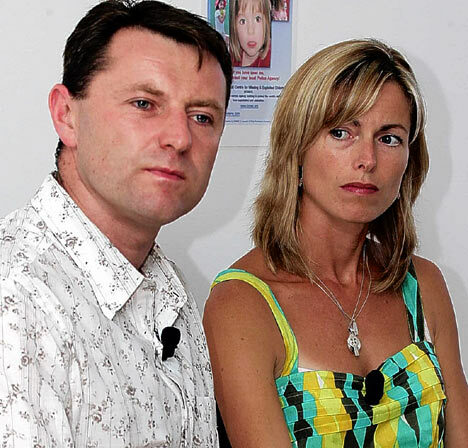 The McCanns, from Rothley, Leics, deny any involvement in their daughter's disappearance and insist she was abducted. The couple have faced renewed criticism in the past few days after admitting they were negotiating to sell the film rights to their story. Madeleine McCann was raped, murdered and her body dumped in a reservoir within 48 hours of her disappearance, a lawyer has claimed. Underworld criminals contacted a human rights lawyer on May 6, three days after the girl vanished, with details of her alleged abduction and murder, he said. But when Marcos Aragao Correia tried to tell police, he was ignored, he added. 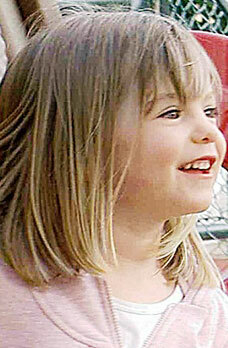 The lawyer has contacted Kate and Gerry McCann's detective agency, which has begun to investigate his theory. If true, Mr Correia, 32, believes it would clear the couple of suspicion that they were involved in their daughter's disappearance. He refused to reveal his underworld sources but said: "They indicated that Madeleine had been abducted, raped and murdered within the first two days after her abduction, and her body thrown into a lake in the Algarve." From the description of the location that he was given, Mr Correia deduced that Madeleine's body is at the bottom of the Barragem do Arade reservoir, near Silves, 40 miles from Praia da Luz. The lawyer, from Madeira, travelled to the Algarve to investigate the claims and visited the reservoir, 150ft deep in places, with Metodo 3 last month. In an interview with the Portuguese magazine Lux, Mr Correia said: "It is the ideal place for somebody to get rid of a body, practically without leaving any trace." He said Metodo 3 was "very interested" in his information. The private detective agency has also investigated a sighting in Silves by a Portuguese lorry driver, who said he saw a woman handing a child to a man on a nearby roadside on May 5. The witness told Metodo 3 the woman looked like Michaela Walczuch, the girlfriend of Robert Murat, the first official suspect in the case. She said the claim was "ridiculous". Mr Correia said Metodo 3 "sent two detectives to Praia da Luz to meet with me and told me that their own investigations indicated that Madeleine was switched from one car to another, precisely in Silves". Police sources told Lux they did not believe Mr Correia's information was credible. The McCanns' spokesman said: "The lawyer concerned has acted appropriately by making contact with the authorities and our investigators and clearly the matter is now in their hands."